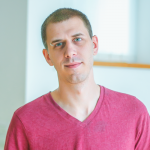 Matija Martek is a part of PR&Marketing team in Mediatoolkit - online media monitoring and analytics tool. While not preaching on the importance of proper PR measurements, he mostly boulders and collects gadgets. PR Automation: Will Robots Replace PR People?